An under sink drinking water filtration system from RainSoft is an absolute must for any family that wants to have an endless supply of fresh, great-tasting drinking water. Our under sink drinking water systems produce fresh, bottle-quality water that is vastly more enjoyable to consume than regular tap water – and they completely eliminate the need to buy bottled water. 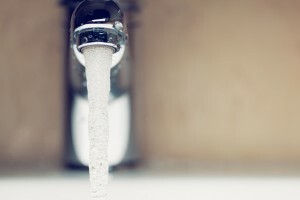 By using the most cutting-edge water purification technologies available, such as advanced carbon block filters and reverse osmosis membranes, our drinking water systems remove contaminants at the molecular level, resulting in water that is crisp, clean, and available right at your faucet. Whatever model of drinking water filtration system you decide is best for your family, you can rest easy knowing that every RainSoft product is assembled in the U.S.A. and backed by our Limited Lifetime Warranty. To schedule a complimentary in-home water hardness and drinking water test, contact the RainSoft dealer nearest you today. Since 1953, RainSoft has been a trusted provider of premium under sink drinking water filtration systems, water softener systems, whole house water filtration systems, whole house air purifier systems, portable air purifiers, and more.